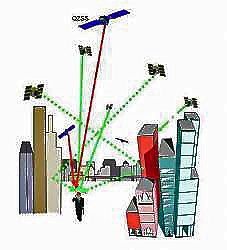 PCTEL, Inc., of Bloomingdale, Illinois USA, announced that its high-precision Wide Area Augmentation System (WAAS) ground station GPS antennas will be deployed in India’s GPS-Aided Geosynchronous Augmented Navigation (GAGAN) system. 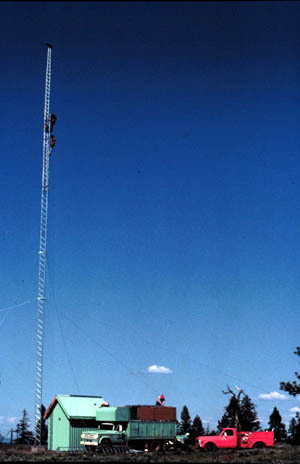 With a nearly restored and modernizing GLONASS system beginning to make inroads into mass market products and services, Russia has revealed plans to build out a space-based augmentation system (SBAS) and establish its first ground monitoring stations outside the Russian territory. In a July 30 presentation at an International Committee on GNSS (ICG) working group on interoperability, Dmitry Marareskul, head of the onboard satellite navigation sector of Information Satellite System Reshetnev Corporation in Zheleznogorsk, revealed Russia’s plans to expand its network of GLONASS monitoring and measuring stations to include sites in Australia, Cuba, and South America. Spirent Communications plc has launched the GSS6300 Multi-GNSS Signal Generator, intended for high-volume production test applications for devices that use commercial GPS/SBAS, GLONASS, and/or Galileo receivers. The GSSS6300 provides a comprehensive remote control interface, designed to facilitate integration into automated test equipment (ATE) environments. NavCom Technology, Inc., has announced the release of the SF-3050 multi-frequency GNSS receiver that incorporates the company’s new Sapphire GNSS OEM board. Offering integrated StarFire/RTK GNSS capabilities, the SF-3050 and Sapphire feature 66-channel tracking, including multi-constellation support for GPS, GLONASS and Galileo. Enhanced Loran (eLoran) has survived through multiple generations of official ambivalence about the proposed backup for the U.S. Global Positioning System. Currently, the program is in (almost) on-again status. The latest chapter began with President Obama’s Fiscal Year 2010 (FY10) budget proposal, which called for termination of Loran in the coming year. 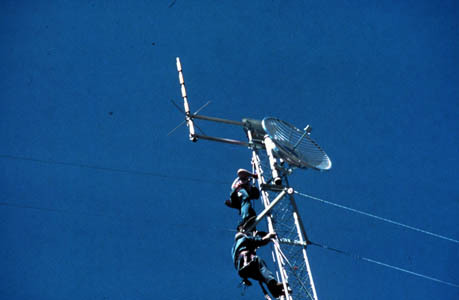 At a May 7 press conference, the president described Loran as a system that’s been eclipsed by the rise of GPS. 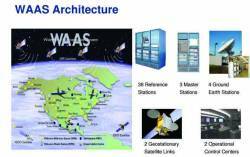 The Indian Space Research Organization (ISRO) has awarded a new $82 million contract to Raytheon Company to modernize the Indian air navigation system. Raytheon will build the ground stations for the GPS-Aided Geosynchronous Augmented Navigation System (GAGAN), and the Indian Space Research Organization will provide the space segment and additional ground equipment. GAGAN will provide satellite-based navigation for civil aviation over Indian airspace and adjoining areas in south and east Asia. Spirent Communications has launched its GSS6700 Multi-GNSS Constellation Simulator with test test capability GPS, GLONASS, and the planned European Galileo system. Iridium Satellite LLC (Iridium) and Boeing have achieved two major milestones to further develop and demonstrate capability enhancements to the High Integrity Global Positioning System (iGPS) program for the U.S. Naval Research Laboratory. The Radio Technical Commission for Maritime Services (RTCM) has completed a revision (Version 2.0) of its standard for Networked Transport of RTCM via Internet Protocol (Ntrip). 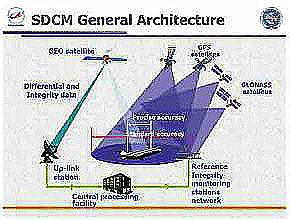 Designated as RTCM Standard 10410.1, Among other things, the new standard defined by RTCM’s Special Committee 104 (SC104) provides a protocol for streaming differential correction data or other kinds of Global Navigation Satellite System (GNSS) data to stationary or mobile users over the Internet. GNSS manufacturer NovAtel Inc., of Calgary, Alberta, Canada, has received a new contract from the Federal Aviation Administration (FAA) to develop the next-generation GPS Wide Area Augmentation System (WAAS) reference receiver (the “GIII” receiver). The three-year contract is worth up to US$9.7million. To say that enhanced Loran (eLoran) has been an on-again off-again program would give short shrift to multiple generations of official ambivalence about the proposed backup for GPS. The latest chapter began on June 4 when Senator Maria Cantwell (D-Washington) introduced S. 1194, the Coast Guard Authorization Act for Fiscal Years 2010 and 2011 (FY2010/11). Among other details, the measure directs the Secretary of Transportation to continue the Loran system until a plan has been drawn up and implemented to transition the program to eLoran.